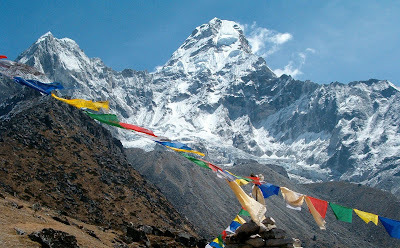 Langtang Gosainkunda trekking offer you a great holiday trip. Trekkers can observe and enjoy overall hidden natural beauties of the Himalayan treasure by visiting this region where the trekking trail follows lower elevation to general challenging hike ups to the final destination Kyanjing Gompa. Exploring around Kyanjing Gompa allows you to capture some of the best mementos of the magnificent snow clad mountains. This inner valley is an attached part of the Langtang National Park, eventually providing home to many endangered wild animals including red panda and abundant wild flowers in nature. The sub alpine meadow lands, far corners of glacier moraine and climb-up trip to Tsergo Ri for the dramatis views of peaks are the main attractions. After exploring days in this Langtang Valley, the trekking trail will be diverted to the holy lake site of Gosainkunda. The holy Gosainkunda Lake is a popular pilgrimage destination among both Hindu and Buddhist people. Especially during full moon in the month of August, it is visited by large number of people. There is also some festive moment when many shamans are gathered to show their shamanism rituals to claim rights traditionally. Around Gosainkunda Lake there are other noteworthy lakes like Bhairabkunda, Suryakunda, Sarswotikunda and Nagkunda to enjoy the views. After visiting this sacred lake you will be crossing Laurebina Pass (4,610m) and this trail will be dropped down towards Helambu valley.